eSoftTools OST to NSF Converter Software known for its safe or fast process to convert the emails and attachments from offline Outlook/Exchange OST files to lotus notes NSF file. Users can be installed this software on their machine that doesn’t require MS Outlook installation to perform OST to NSF Conversion. Successfully convert either selective or complete folders or emails of OST Mailbox files to NSF files. 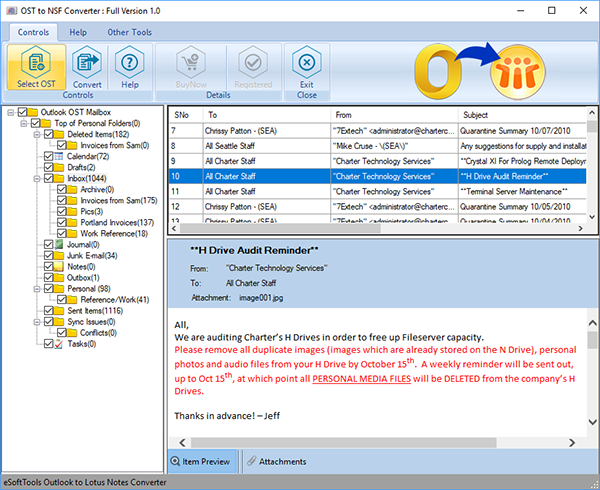 The OST to NSF Converter software allows save outlook OST emails to NSF file or save OST contacts to names.nsf file along with maintains NSF data truthfulness. Supports batch conversion of outlook OST folders into NSF file. 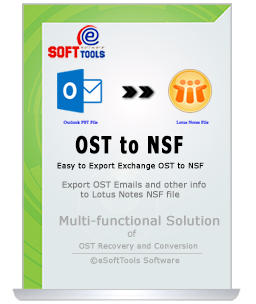 eSoftTools OST to NSF Converter is deployed with quick and safe conversion algorithm to convert outlook/ Exchange OST files to lotus notes NSF platform. Software is built up with lowest footprint of exe file that gives users fast scanning and conversion speed. The better feature of the Outlook OST to NSF Converter Software that, there is no requirement to install MS outlook on conversion machine that mean without outlook installation users can recover and convert OST File to NSF file. OST to NSF Converter is the well- identified program that upholds all originality of OST mailbox folders items and also preserve email properties (to, bcc, cc, time, subjects and from) while the performing the task of OST to NSF Conversion. 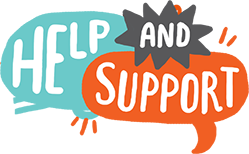 OST to NSF Software gives the advantages users can save all the emails of OST File into new created lotus notes NSF file and save the entire from Outlook/ Exchange OST files to names.nsf file with emails, contacts, calendars, task, notes, journals and appointments. This totally depends on users that what kinds of conversion they want, if they want to convert only selective items then they can make selection of emails or folders for selective conversion instead of complete conversion of Outlook OST to NSF file. Select Individual OST Emails from multiple locations. My outlook OST file is having protected with password so can I convert its data into NSF lotus notes file? Yes, OST to NSF Converter software is able to convert password protected OST file to NSF file with complete data. What size limitation does the OST to NSF Converter Software provide for conversion? There no size limitation has been defined; browse any size of outlook OST file to convert them into NSF file. Can I convert only selective folders of my Exchange 2013 OST file to NSF File? 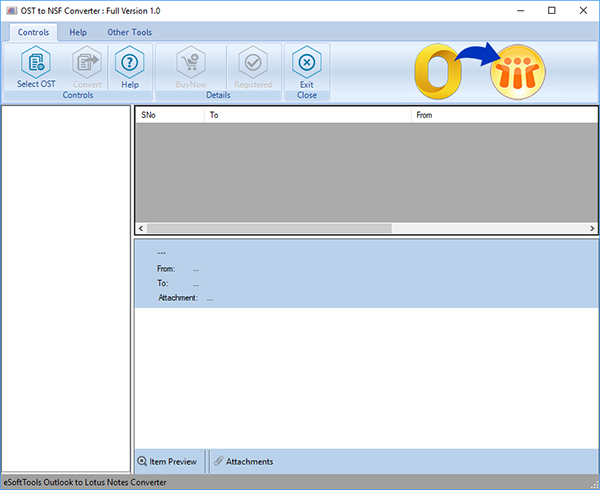 Yes, the OST to NSF Converter Software allows select the folders from exchange OST file supported all versions included 2016/2013/2010 to 97 to convert data into NSF file. If I didn’t get the activation key after complete purchasing process then what to follow next step? Can I convert contacts of OST file into names.nsf file using Software?